We are the most obese and overweight country in history. Two out of every three people in the USA are either overweight or obese. What are the components as to why more people are not losing weight? 1. The Emotional/Mental/Spiritual Component. Fat people aren’t lazy, fat people aren’t undisciplined and they are not weak or overindulgent. This is what Jon Gabriel says, the author the bestselling book “The Gabriel Method.” Jon goes on to say that you are fat because your body literally wants to be fat! Your body somehow believes on a subconscious level that it is in its best interest to be fat. Mostly, this surfaces as a protection mechanism from a particular belief or stress that you have in your life. Jon weighed over 400 pounds and when he finally realized that he was holding on to his weight to “protect” himself from his business partner, he lost over 200 pounds without dieting. Learn about how the body reacts to stress and how we are wired to put on fat due to a starvation mentality. This is one of the few books that addresses this component, which honestly I feel to be the most important component to true weight loss. Looking at whether you have an emotional, mental or spiritual component that triggers your body to retain weight may be one of the most freeing things you discover about yourself. It also can help you to lose weight naturally. 2. Poor Diet – This is probably the number one reason why people gain weight or are overweight. If you are not getting at least 6 servings of organic vegetables and fruits per day, it will be very difficult to lose weight. A recent study I read said that 90% of Americans think they eat healthy. We have some seriously deceived people out there. 40-50% of Americans get less than 1 fruit or vegetable a day in their diet. So what should we do? Eat organic, non-toxic food. Eat way more raw and steamed vegetables and fresh fruits. Add in good sources of organic whole grains and legumes. Eat raw organic nuts and seeds. Limit protein consumption. Eliminate Dairy, fried foods, refined pastas and breads, sugar, alcohol, boxed and processed foods from your diet. Research in the last 20 years, talks about on a chemical level how the hormone Leptin and Insulin basically control whether you will be fat or not. How do we avoid Leptin from spiking and us gaining weight? Dr. Rosedale says “By avoiding processed sugars, sugar forming starches and excessive protein” and not being afraid of the fats that are good for us. Those fats are found in nuts and seeds, and certain other things like olive oil, avocados and especially coconut oil. And also good sources of Omega 3’s such as flax, salmon and walnuts. This is a critical component to natural weight loss management and reduction. 3. Insufficient Exercise – In the last seminar I gave we talked about the most effective way to build muscle, burn fat and increase your HGH levels naturally. Most people don’t get enough exercise. Check out Peak 8 exercises on mercola.com, which talks about high intensity interval training. Also check out something called FatBurningFurnace.com, which talks about high interval strength training. Do one or both of these and you will get results helping you to lose weight naturally. Exercise is a key part of losing weight. 5. Hypothyroidism – 60% of the people I see here in the clinic have an underactive thyroid. The thyroid helps to control metabolism and if it is underactive, you will most likely gain weight. By rebuilding, repairing and giving the thyroid concentrated whole food nutrients it needs to function, I have seen many people lose weight fast. Thyroids can be regenerated if the body has the right materials. Many things assault the thyroid that never have in the history of the world. 6. Skipping Breakfast – University of Colorado and the National Weight Control Registry on 3,000 people who lost at least 30 pounds and kept them off for a year or more, indicates that eating breakfast on a regular basis is a good predictor of weight loss. Studies show that women who rise and shine to a breakfast of whole-grain cereal, cooked grains or pancakes lose more weight and keep it off better than those who don’t eat any breakfast at all. Skipping the first meal of the day also contributes to “brain fog.” Eat something first thing, and you’ll not only stay focused but resist the siren call of the vending machines. 7. Eating right before you go to sleep – For the love of everything holy, don’t eat ice cream or something you know is not good for you before you go to bed. If anything, have a glass of water or a vegetable to tide you over until the morning. If you do eat before going to bed, food sits in your intestines and doesn’t digest and turns into fat. 8. Toxins – Heavy metals, heavy chemicals, and food sensitivities. They affect the nervous system’s ability to control weight. Knowing what metal, chemicals and food sensitivities you have and doing a chelation and enzyme protocol can remove these interferences in your body, so you can heal and lose weight. 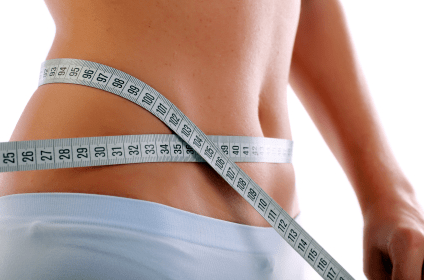 We use a very specific nutritional whole food supplement protocol to help people cleanse and detoxify, which will ultimate lead to true sustained weight loss. Whether you are in the Orlando, Florida area or not, if you are interested in this protocol, please contact me for more information (407-255-0314).